With the impacts of climate change already being felt locally, preparedness and resiliency are key steps to ensuring the longevity and sustainability of Hawaii. The Office of Planning is developing a statewide sustainability planning and coordination program pursuant to Hawaii’s Sustainability Priority Guidelines and Principles established by Hawaii Revised Statutes § 226-108. This new program will implement the sustainability priority guidelines and principles enacted through Act 181, Session Laws of Hawaii 2011. 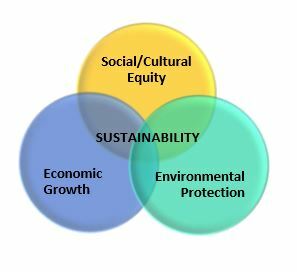 The development of this sustainability planning and coordination program began in June 2017, to liaise among state and other government agencies, as well as private or non-profit organizations, on various sustainability initiatives being performed statewide. This program is responsible for establishing broad work plans for state initiatives that promote sustainability, including developing programmatic priorities and budgets, conducting program analyses, making sustainable policy recommendations, and preparing sustainability or initiative reports. businesses and government, has the responsibility for achieving a sustainable Hawaii. Besides Hawaii’s Sustainability Priority Guidelines and Principles, the State of Hawaii also published the Hawaii 2050 Sustainability Plan through Act 8, Special Session Laws of Hawaii 2005, as amended by Act 210, Session Laws of Hawaii 2006. Hawaii’s 2050 Sustainability laws directed the review of Hawaii’s State Planning Act and other fundamental concepts of community planning, specifically, many quality-of-life issues, including water quality, air quality, land use, energy, and ocean resources that are important to the people of Hawaii and should be the focus for planning Hawaii’s future. The State of Hawaii has also enacted many other sustainability laws and goals, which this program will organize to ensure coordination and awareness across state agencies.